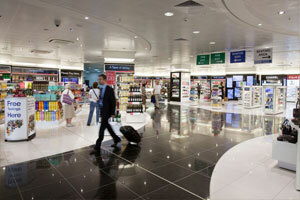 Jersey Airport boasts modern facilities, ready to accommodate the 1.4 million passengers it handles each year. 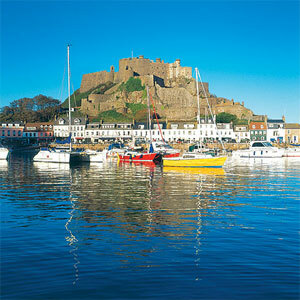 In addition to the important tourism flows, Jersey's strong banking industry generates considerable business travel. 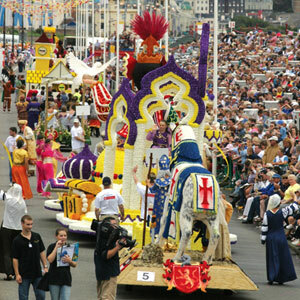 Jersey prides itself with landmarks such as Mont Orgueil Castle and Corbiere Lighthouse, while attracting visitors to events such as the August Battle of Flowers Carnival, one of Europe’s finest floral carnivals, and the International Air Display every September when the skies above Jersey come alive. 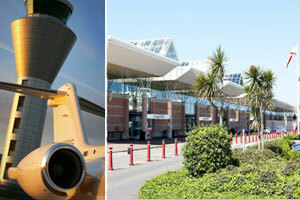 Jersey Airport plays a significant role in the growth of Jersey’s major industries – finance and tourism. The Island’s history has resulted in a cosmopolitan and sophisticated community, open to every challenge and opportunity. Jersey is an established international finance centre for both private and institutional clients seeking a quality location to meet their banking and investment requirements. 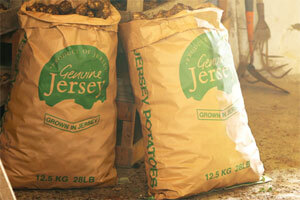 Jersey employs up to 12,000 professionally trained staff in the finance and support industry. 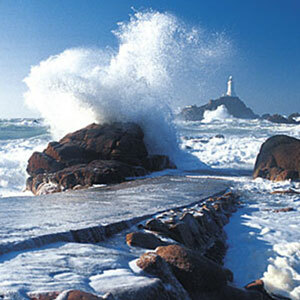 Tourism is vital to the Island’s economy and has been a significant part of life in Jersey for many years. A number of residents owe part of their living and a significant part of their lifestyle as a result of tourism. Despite measuring just 45 square miles, Jersey has a resident population of circa 100,000 people and welcomes over 300,000 tourist visitors each year. With a multitude of high quality hotels and spas, restaurants and excellent low-tax shopping, the Island is perfect for a year-round short break as well as remaining a popular destination for couples and families looking for an extended summer holiday, especially European visitors. There is also high demand for the VFR market. 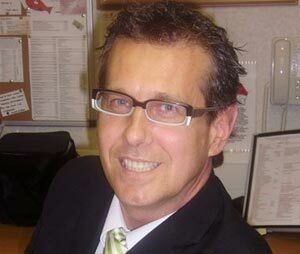 With a dedicated Commercial Team, which includes Route Development and Marketing, we offer every support in helping airlines establish new services to and from Jersey. Jersey Airport can provide the latest market information such as passenger profiles, statistics and route potential to any airline considering establishing services to and from Jersey. 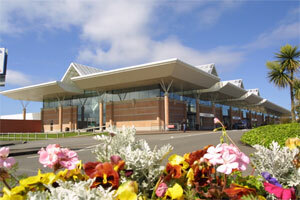 Jersey Airport can provide financial, marketing and PR assistance in support of new routes. 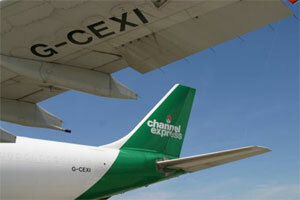 In addition, there is a willingness to offer route incentives. With its wide network among the Island’s business and hospitality community, Jersey Airport can arrange briefings and meetings between airlines and its key partners and business influencers to discuss future air link opportunities. The marketing team offers a complete communications and PR package, which involves news releases and media briefings as well as promotional events and activities to publicise routes. The team enjoys excellent relationships with local and trade media and will work closely alongside airline partners to best publicise new routes and services, using a variety of medium such as radio, online, television and hard print. The team also works closely alongside tourism representatives on destination marketing initiatives to support air links and has its own dedicated social media channels. 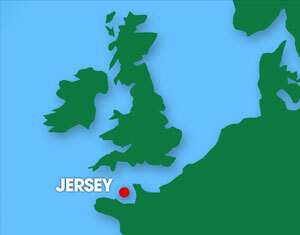 Jersey lies 160km south of mainland Britain, just over 20km from the French coast. 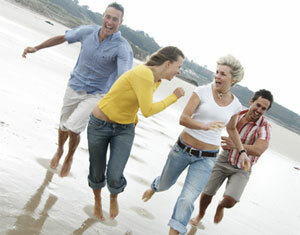 The island has become increasingly popular for couples from mainland Europe looking for a relaxing short break. Although just 45 square miles, Jersey has a resident population of approximately 100,000 people and welcomes over 300,000 tourist visitors each year. The principal catchment area for visitors lies within the British Isles, which accounts for approx. 80% of air traffic. Recent years has seen a significant increase in the number of visitors from mainland Europe, in particular Germany, which currently enjoys a weekly summer service from a number of German airports, including Düsseldorf, Hamburg and Stuttgart. 2016 will also see a twice weekly direct air service between the Island and Bern. 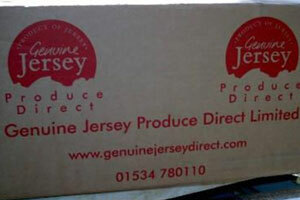 Jersey supports a significant fresh produce sector for high-yielding tomatos, world-renowned Royal potatoes and horticultural products attracting a traditionally strong express freight trade. 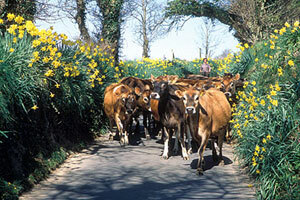 The island also has a thriving dairy industry thanks to the famous Jersey Cows. Plenty of investment here: Runway resurfacing was completed in March 2009; a new air traffic control facility followed in 2010. 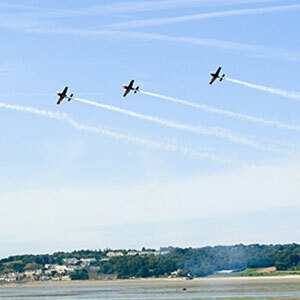 Located approximately 160kms south of mainland Britain and 22kms west of the nearby French coast of Normandy, Jersey is the largest of the Channel Islands and with its successful ‘open skies’ policy remains the primary gateway for air passengers into this most southerly part of the British Isles. Measuring 45 square miles, nine miles east to west and five miles north to south, Jersey has a resident population of approximately 100,000 people. 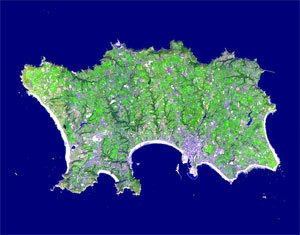 Jersey Airport is located in the westerly Parish of St Peter and is approximately five miles from the Island’s capital, St Helier. The Island slopes from north to south with some 720kms of roadways, which is a mix of fast routes and quiet rural lanes, creating endless opportunities to discover the unexpected and impressive landscapes. Jersey boasts an award-winning 72km network of country roads, commonly known as ‘Green Lanes’, which have a maximum speed limit of 24kph where priority is given to walkers, cyclists and horse riders. The maximum traffic speed limit is 64kph. Road transport links to and from Jersey Airport are excellent. There is a public bus operating from immediately outside the arrivals terminal building, which offers regular daily services to and from the Island’s capital, St Helier. The journey time is approximately 25 minutes. In addition, a number of private and public rank taxis are available for hire outside the arrivals terminal building as well as on-site hire car operators. 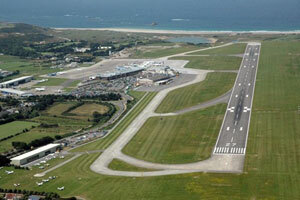 Jersey Airport opens 0600-2030z in summer and 0700-2100 in winter. 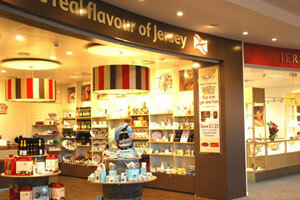 Jersey Airport has one departures terminal and one arrival terminal. Become more agile in business dealings, thereby accelerating the organisation’s ability to respond to changes, seize revenue cost and growth opportunities. 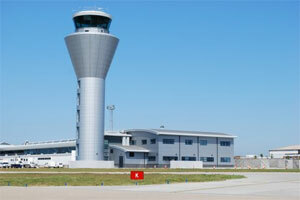 Over the years Jersey Airport has invested over £70m in major capital works projects. These projects have included replacement of the apron (completed 2007), re-profiling and resurfacing of the runway (completed 2009), redevelopment of the airside departures lounge (completed 2009), construction of a new air traffic control facility (completed 2010), part demolition of the arrivals terminal (completed 2012) and construction of a new and larger air cargo centre (completed 2015). Construction work on a new fixed based operation to cope with the increasing demand from the corporate aviation industry is due to start in 2016 and construction of a new arrivals terminal is scheduled for 2017/2018. 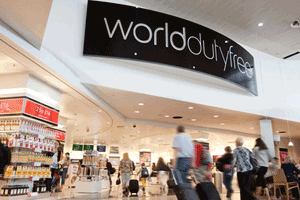 Jersey Airport handled in excess of 1.53 million commercial passengers in 2015, its highest number since 2008. While the majority of travel focuses on the British Isles, attracting business and leisure travellers as well as a strong VFR market, recent years has also seen a significant increase in traffic from Switzerland and Germany. 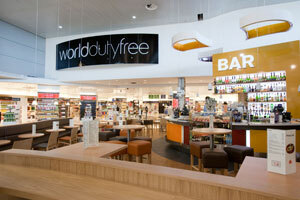 Jersey Airport welcomes a number of low-cost carriers, including easyJet, Air Berlin and Jet2.com With the exception of London Heathrow, Jersey is served by all other London airports.